We often talk about what is happening in mobile. Well, with the holiday shopping season now in full swing, we will cover some of the more recent trends in mobile shopping and the ever increasing impact of how these little hand held devices are changing everything we know about how people shop. I found a great new web-site, Quartz, www.qz.com, that covers a variety of interesting topics including mobile. The facts below were provided in an article by Christopher Mims. He is the science and technology correspondent for Quartz. He believes that the most interesting things about the universe have yet to be discovered, and that technology is the primary driver of cultural change. So are these smart devices that we are using really that important? You bet! The game has changed. What game are you playing? 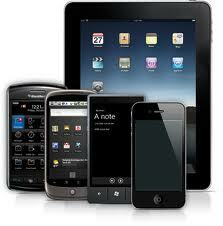 If you are a retailer without a mobile strategy, time to make a change and get one.